When shopping during Thanksgiving, Black Friday and Cyber Monday, every second counts! Save precious time and pre-fill all the shopping websites with our closest overseas warehouse address. When you checkout, you can be a step faster than everyone else ~ And the quicker you have made your purchase, the sooner your shipment will be at our warehouse and then ready to be delivered to you! And to make the process even quicker and efficient, please pay attention to the following few steps! If an error message occurs when trying to fill out our overseas warehouse address, you can try to enter 595, North Columbia Boulevard in another format. If there is no space to add your Buyandship member number to your name or your address, please try to add it for example to the “Address line 2”. (It’s important to add in your BS member number for identification of your parcel). After you’ve shopped, remember to declare your parcels! As long as you remember to declare the shipment on time and accurately (before your shipment arrives at the warehouse), the US warehouse colleagues can handle your shipment directly and as quick as possible. 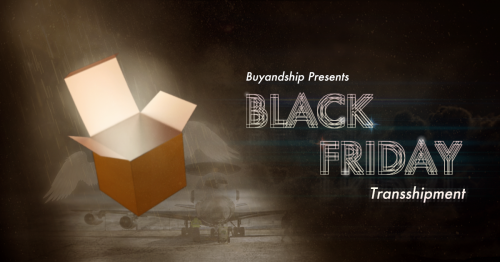 However, due to the expected volume of orders for Black Friday, our colleagues in the US wanted you to kindly note, that due to the large volume of goods, the Check-in of the shipment may take a day longer than usual. So please be patient and contact our Customer service, in case your parcel hasn’t been checked in after a few days. If you have not declared the shipment after it’s arrival at the warehouse, the warehouse colleagues will delay processing your shipment for 3-5 working days, and priority will be given to the already declared parcels. Although we do as much as we can, with all helping hands we can get, it is inevitable that the delivery time will be slightly affected. Generally, it takes 1-3 working days for the goods to be shipped out of the warehouse. We try our best to bring the parcels back to Hong Kong as soon as possible. However, due to the increase of orders and parcels during that time, it can take between 6-10 days for your shipment to arrive at the Hong Kong warehouse.